Two young Sprockers meeting life head on! Big Sisters are such a Pain! 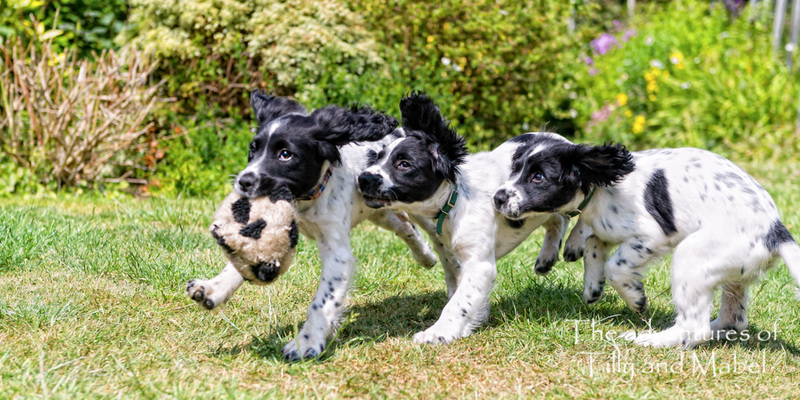 Tilly and Mabel have a big sister called Lolli who lives nearby. Big sisters are such a pain! 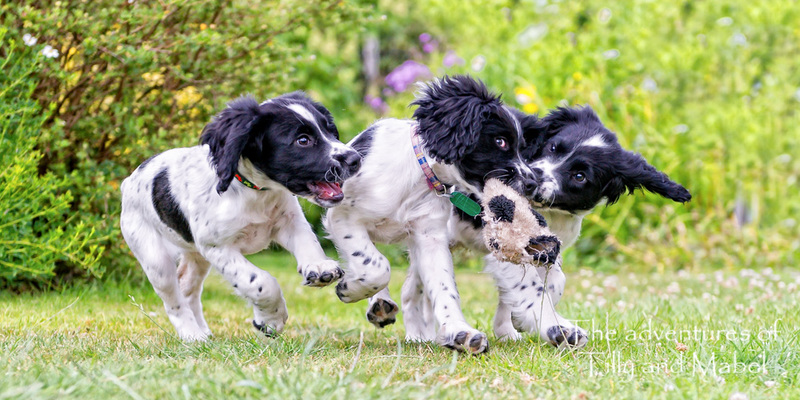 They think it is beneath them to play with their smaller siblings, and so they grab the best toy and run away with it. When challenged they just run faster. Even when challenged from both sides big sisters still think they have a right to the best toy. 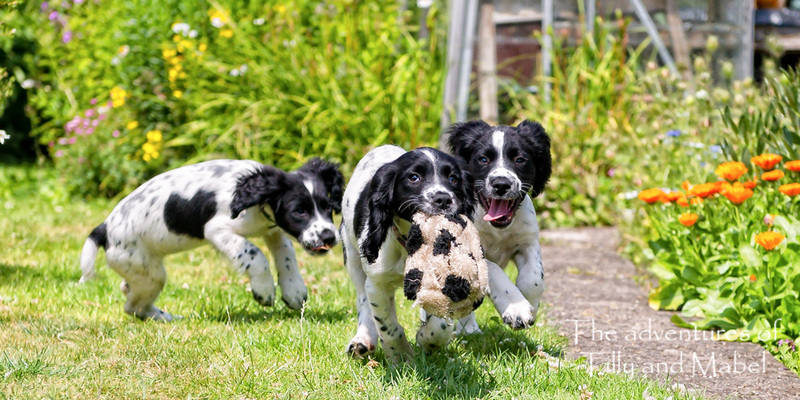 Luckily we are bringing Tilly and Mabel up to chase their goals and never give up. That is one big sister who has met her match! 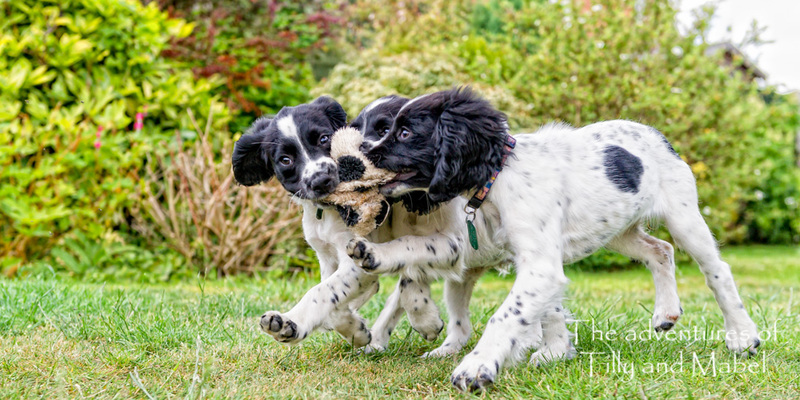 This entry was posted in Tilly and Mabel and tagged cocker spaniel, dog, friend, fun, funny, humour, pet, play, puppies, puppy, sister, spaniel, springer spaniel, sprocker, sprocker spaniel, uk on August 18, 2015 by Jean. Tilly and Mabel go Crackers!